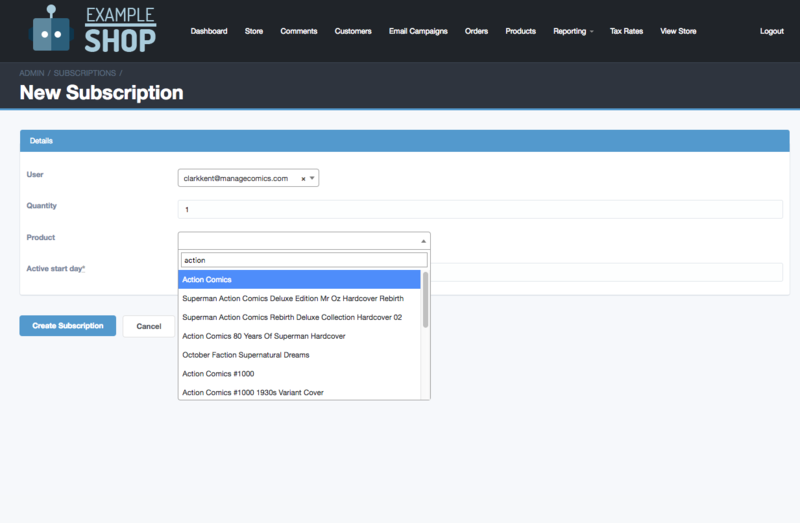 If a customer asks you to change items on their order, you can quickly do it right from the customer page. 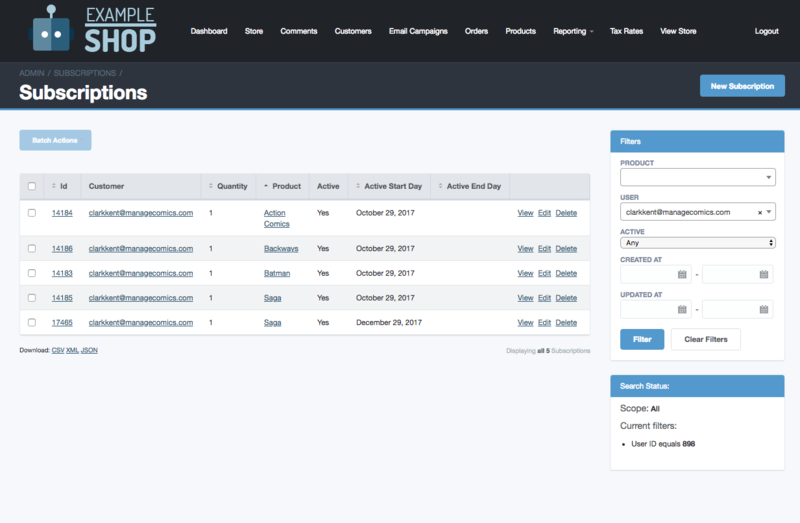 On the All Customers page, find the customer you are looking for, and click the “Subscriptions” link next to their name. To delete a subscription: Simply click the “Delete” button. The last pull date will be set to the date based on your FOC date (from the settings menu). To add a subscription: Click the “Add Subscription” button, and choose the title, quantity, and start date for the subscription (by default this is set to your FOC date from the settings menu).